JERSEY CITY, NEW JERSEY -- March 17, 2018 – Panepinto Fine Art is pleased to announce Stefania Panepinto’s artwork will be showcased at Novado Gallery. 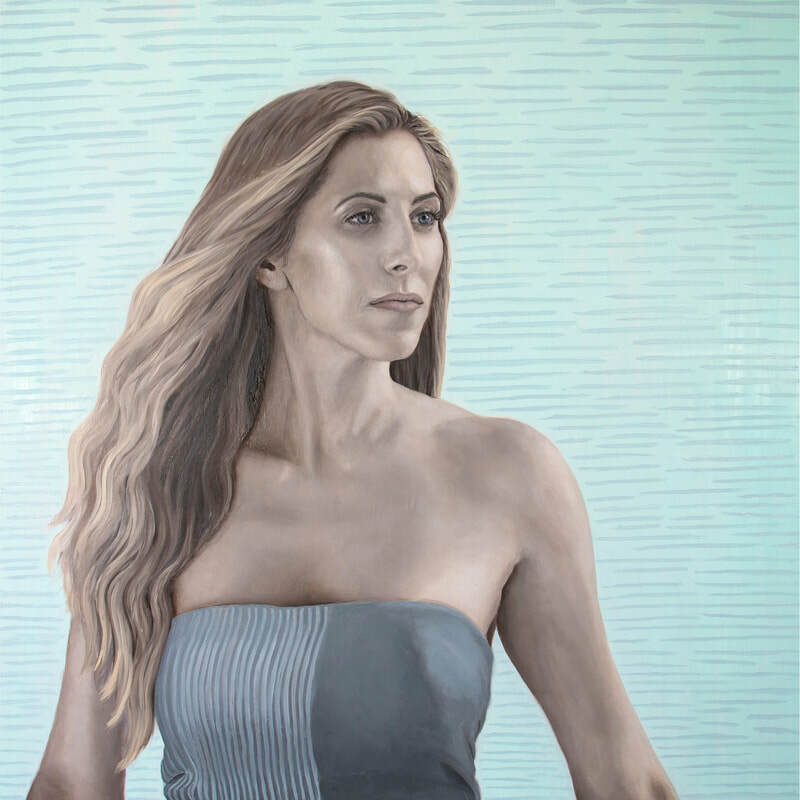 The exhibition, titled Leveling, is an exhibition featuring figurative paintings by Panepinto, along with Michelle Doll, Charlotta Janssen, Heather Morgan, Diana Schmertz and Jennifer Watson. The show is on view March 17-April 22. An opening reception for the public will be held on Saturday, March 17, from 7 to 9 p.m. Additional programming for “Leveling” including artist talks to be scheduled. “Leveling” is an artistic response to issues that permeate the social, economic, educational, and political landscape. Topics covered in the artwork will include important issues such as inequality, social status and women’s rights. With oil and acrylic paints, each artist gives life to the depicted figures on canvas that range from the unapologetic woman, pioneers of the Civil Rights movement, female business leaders, and the spiritual and emotional balance achieved by physical and metaphysical energy that exists between individuals. 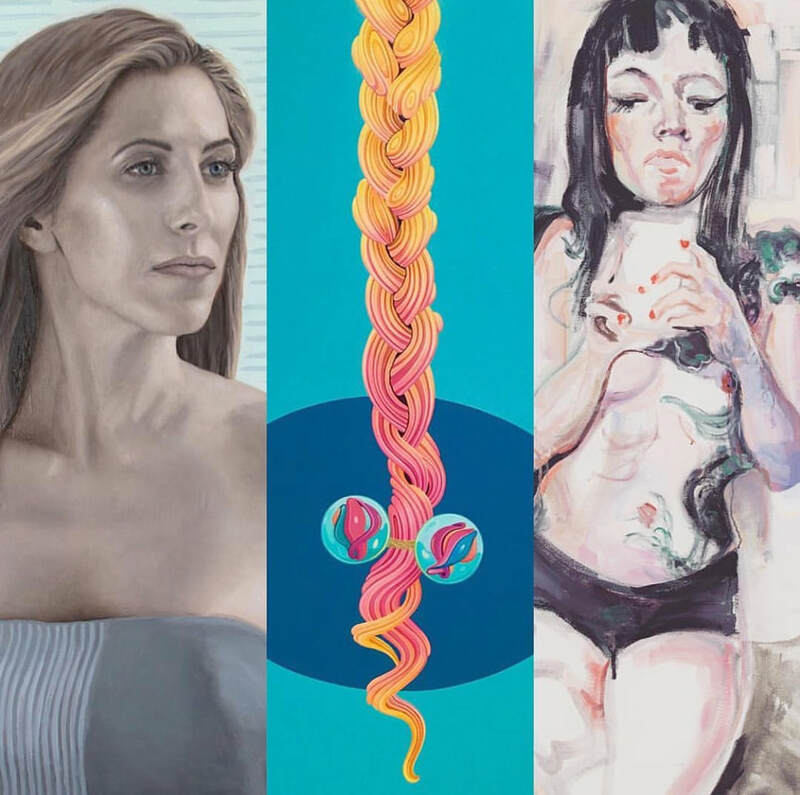 Artists appearing in the show have each cultivated an individual and naturally occurring style of art that pushes the boundaries of standard figurative works. Stefania Panepinto is an artist and art advisor living in Jersey City. She received her Master’s in Fine Arts from New York Academy of Art. In her Hoboken art studio, she works in oil paint, mixed media, and sculpture to create unique works of art that embodies the vision and experience within each of her projects. “Ultimately when women support other women, their strength in numbers builds both individually as well as ‘pancosmically’ to support all women,” Panepinto continues. For this series, Panepinto has chosen women with whom she has had a long-lasting connection, often going as far back as her early childhood. She has seen many of them develop and transform into the people they are today. Each woman has had an influence on her life intimately, and on women as a whole. The first two paintings from the series will be exhibited at Novado Gallery. Novado Gallery’s regular hours are: Sat 12-5 pm, Sun 12-7 pm, Tues 10 am-8 pm, Wed 10 am-6 pm, Thurs 10 am-6 pm, and Mondays & Fridays by appointment; Private viewings of “Leveling” for collectors, groups and educational tours are encouraged and scheduled upon request. Novado Gallery, LLC is a 3000-square-foot retail art gallery located at 110 Morgan Street in Jersey City, between Washington and Warren Streets, on the Morgan Street side of Modera Lofts. The gallery maintains a global reach with a rotating inventory of featured works on artsy.net. For more information or to schedule a visit, please call or text Novado Gallery, at (201) 744-6713. Also, please visit www.novadogallery.com or follow the gallery on Facebook at facebook.com/NovadoGallery for current gallery news and events. PANEPINTO GALLERIES, in collaboration with SPEAR STREET CAPITAL, presents THROUGH THE EYES OF AN ARTIST highlighting artwork by 56 artists from Jersey City, Hoboken, Manhattan, Brooklyn, Staten Island & the Bronx. The more than 70 extraordinary works of art showcased in this group exhibition explore the theme of an artist’s perception of contemporary life.